See independent reviews at goodreads.com. 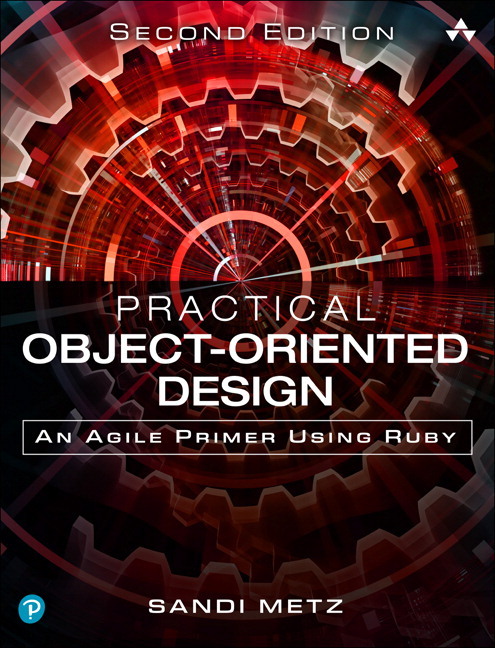 Practical Object-Oriented Design: An Agile Primer Using Ruby (POODR) is a programmers tale about how to write object-oriented code. It explains object-oriented design (OOD) using realistic, understandable examples. POODR is a practical, readable introduction to how OOD can lower your costs and improve your applications. There are affiliate links on this site, which means if you choose to make a purchase, I will earn a small commission, which comes at no additional cost to you.